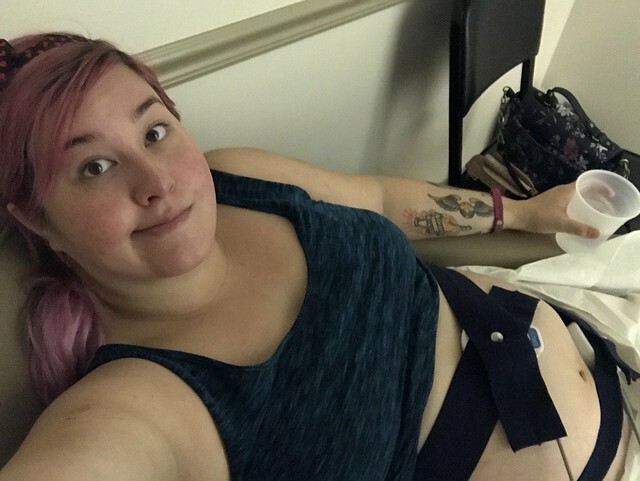 At my routine 34 week appointment last week, I had high blood pressure and was sent to the hospital to get checked out. Over the course of the time spent laying around there, my blood pressure went back to normal levels, and all of my other tests came back normal. 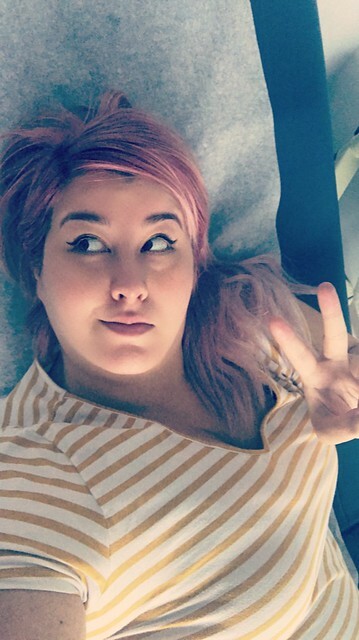 I was discharged with instructions to follow back up with my OB on Friday (two days later) for another blood pressure check. All caught up? Okay, good. So, as mentioned in my last post, this super unexpected turn of events (unexpected in that my blood pressure has been generally great all pregnancy and I’ve had no other issues until now) threw me into panic mode a bit. I suddenly wanted to—nay, HAD TO—check off every single item on my to-do list all at once. 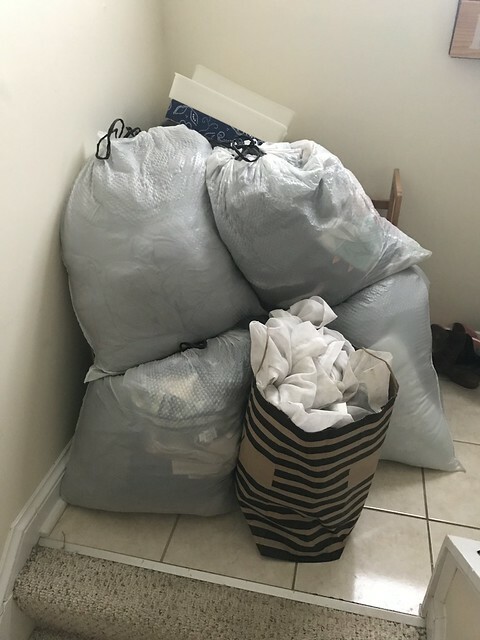 Luckily, I’m surrounded by awesome people who quickly offered to help me out (huge thanks to Catrina for helping haul away my Goodwill donation pile! ), and while I certainly didn’t accomplish everything on my to-do list, I did get to check off a few things that had been gnawing at me. 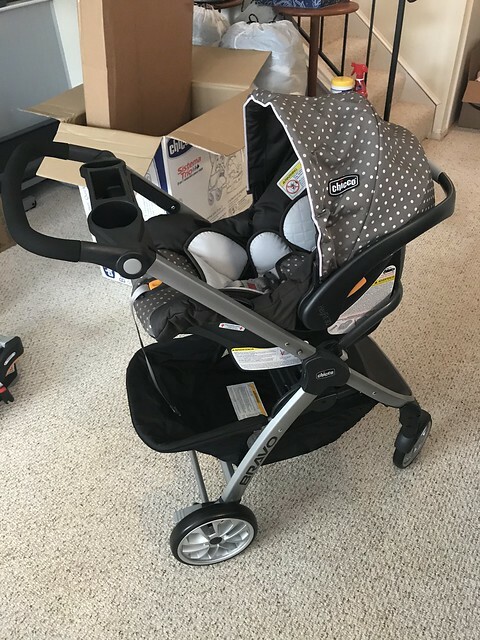 I successfully got our stroller together (the Chicco Bravo travel system — gifted by my parents), put most of the finishing touches on my maternity leave plan for work, and packed up my hospital bag (which, okay, maybe wasn’t super necessary, but can you blame me for wanting to take care of it sooner rather than later?). …Where it was determined after several new readings that my blood pressure was still high. Womp womp. My BP wasn’t reading insanely high (140/85-ish, if I remember correctly), but high enough for my doctor to remain concerned. While I wasn’t sent back to the hospital or anything, I do have borderline gestational hypertension and I think my OB is worried that it could still develop into preeclampsia. Just like before, it felt like things moved very quickly from there. I was prescribed blood pressure medication (Procardia) and put on modified bedrest (I’m still allowed to get up to use the bathroom, get water, eat, etc, but otherwise need to be laying down in bed or on the couch). Most importantly, my doctor’s recommendation is now to induce Baby Foxlet’s birth at 37 weeks… assuming my blood pressure is able to be kept relatively under control until then. Needless to say (especially if you saw my Instagram Stories update from later that day, lol), this was certainly not the news I was hoping to hear. Even though 37 weeks is considered “full-term” by some professionals, I don’t think that having a medical reason to induce early at all is part of anyone’s ideal plan. I also worry that this increases my likelihood of being taken in for a C-section instead of being able to deliver vaginally, which I know wouldn’t be the worst thing in the world. I know plenty of women who have had them and been more than fine! But that said, I’ve never had any kind of surgery before — never even gotten my wisdom teeth taken out! — so the thought of a caesarean is still pretty scary to me. Moreover, there’s the fear that I won’t even make it to 37 weeks if my blood pressure spikes up further, or if I develop any additional signs of preeclampsia (specifically I need to keep an eye out for bad headaches, sudden swelling, and/or vision changes.) At only 34 weeks and 5 days right now, Foxlet is still pretty itty bitty, and has quite a bit of lung development still to go… which would likely mean a stay in the NICU if she were to have to come now. In my head, I know that 34 weeks isn’t super-duper premature or anything, but you never really know what could happen. And just the thought of my little bean surrounded by all those tubes and wires, or even just being in an incubator instead of in my arms makes me so sad. Even though I’ve had a textbook (albeit relatively miserable) pregnancy up until literally this week, I’m battling some pretty extreme emotions about this turn of events. It really feels like the alarm has gone from 0 – 100 SO quickly. I was totally fine… and then suddenly, I wasn’t. 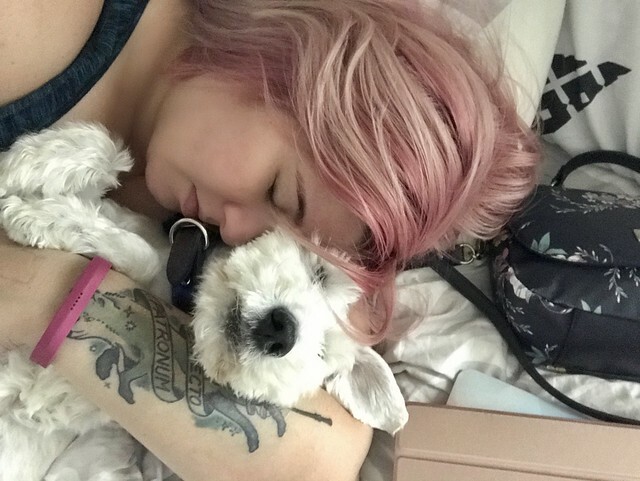 And it’s really hard not to feel like somehow this is my fault, that I could have done something different — waited until I was at a healthier weight to get pregnant, battled through my extreme nausea to stay more active, or just been, I don’t know, better at this whole growing-a-human thing. And I know—I know—there are plenty of people who develop gestational hypertension, preeclampsia, and a whole host of other pregnancy-related issues, regardless of whether they’re super fit and at a healthy weight, or if they’ve got a little more to love. But the guilt is still real. 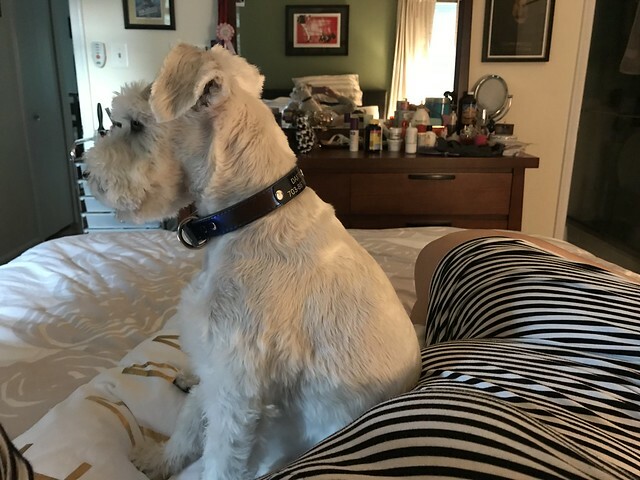 Those of you who are already mothers have told me that feeling of guilt is probably never going to go away though (welcome to being a parent, I guess!) so perhaps this is just the universe’s way of getting some extra practice in for me. Anyway, now that I’m a little bit further removed from the shock of receiving this news, I really am trying to maintain a positive outlook. After all, I don’t have any reason to think that this treatment plan won’t work as of right now. And I do acknowledge that I’m in a better position than many to deal with the pitfalls of being put on bedrest. 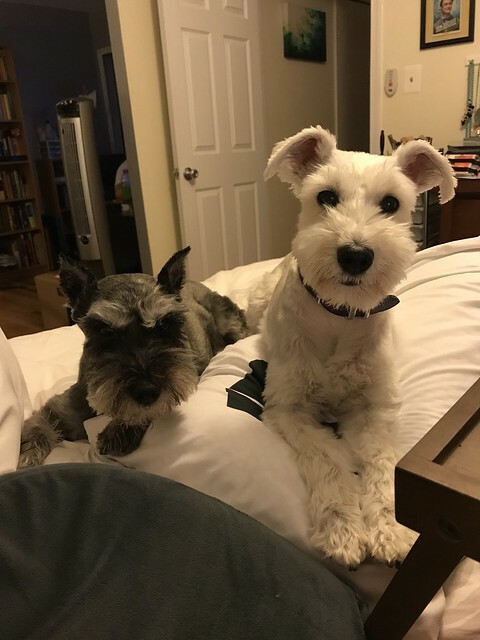 The fact that I work from home means there’s still a ton I can get done from the confines of my bed or couch, after all! Makes for a pretty good distraction, too. I go back for another follow up appointment on Monday to check on whether the medication is working, whether my blood pressure is remaining stable, and whether I’m going to need to stay on bedrest for the remainder of my pregnancy (however long that’s going to end up being.) 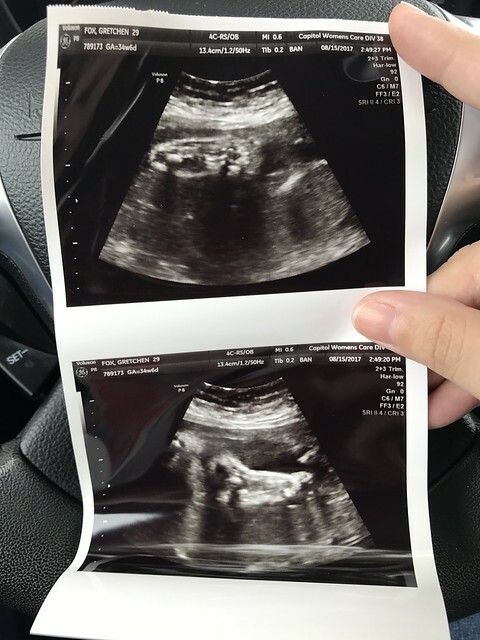 My doctor also scheduled me for an ultrasound on Tuesday to check on Baby Foxlet, see how she’s doing, and try to get an idea of how big she is (although I hear these sizing sonograms aren’t incredibly accurate). So I’m trying to look at it as kind of a bonus that at least I’ll get to see a glimpse of my little nugget again — my last ultrasound was back at 21 weeks! Anyway, that brings us up to speed! 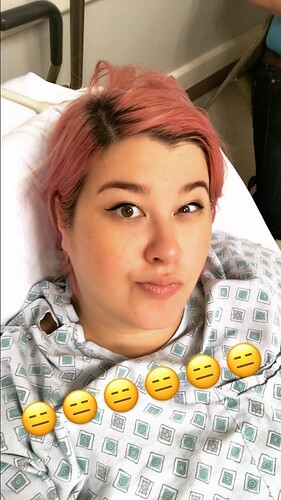 I’ll likely have another update after my appointment tomorrow (and hopefully it will be good news — or at least no news!) but for now, I’ll happily welcome any positive thoughts and good juju you want to send to me and Baby Foxlet. I also will happily welcome any visitors bearing bubble tea. Just saying. 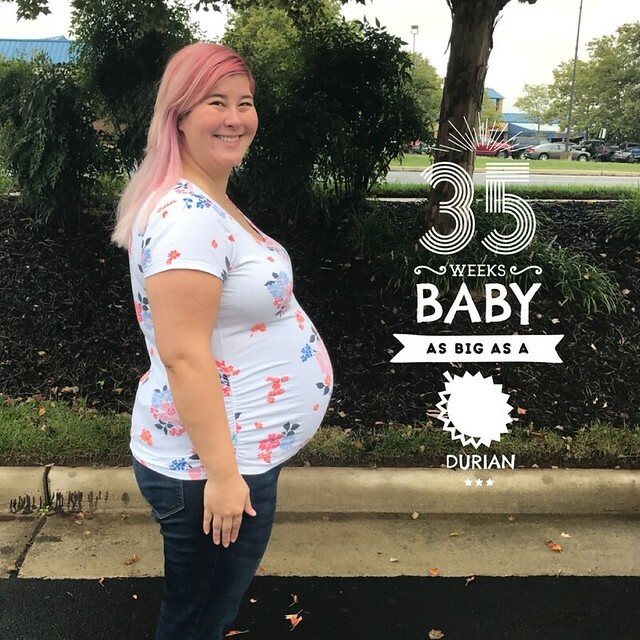 32 weeks! This is the point where it simultaneously feels like the end is nigh and I still have miles to go. I cannot imagine how my stomach is going to get any bigger, and yet I still have almost 8 weeks to go! Yipes. I had my 32 week OB checkup yesterday, and everything looks great. My blood pressure reading was very good (yay! ), and I’m measuring right on track growth-wise. 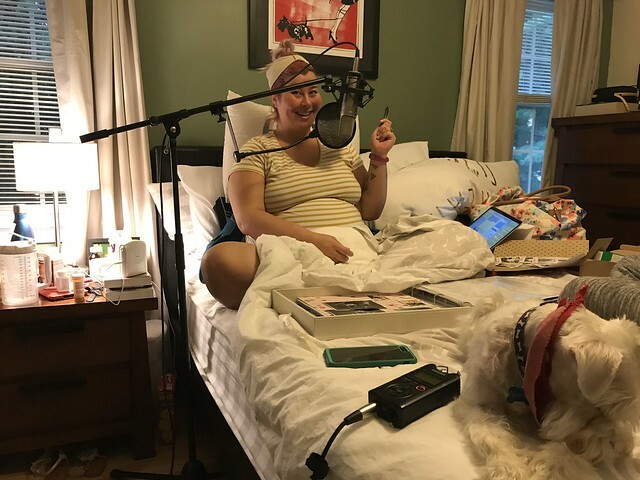 We had a crazy hot and humid week last week, so I’m still dealing with some swelling from that, but she said that swelling, along with my other symptoms, are all very normal. Hooray for normal! 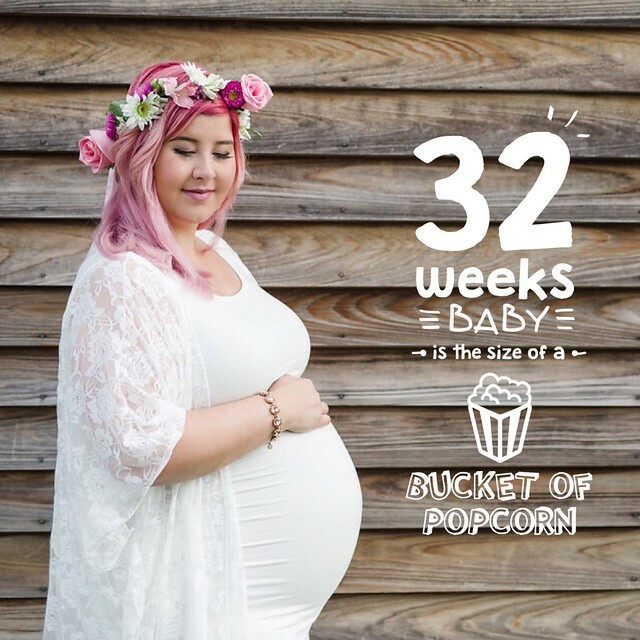 Foxlet’s Size: At 32 weeks, Baby Foxlet is the size of a jicama, a squash, or a bucket of popcorn… and weighs almost 4 pounds! Weight: Hip, hip, huzzah! I’ve officially gotten back to my initial, pre-pregnancy (or, rather, early pregnancy) weight! And it only took, like, what, 7 months? Ha. While emotionally, it’s still hard for me to consider growing numbers on the scale a positive thing, I recognize that weight gain at this point is super healthy and necessary. After all, she’s gaining weight every week, too! My baby book says she could gain as much as a half a pound per week moving forward, so I should expect to also gain about a pound per week. As mentioned, I’ve been having a bit of swelling in my hands and feet due to the heat, but my main symptoms are unfortunately still pain-related: tailbone pain, back pain, and continued SPD/pelvic pain. Heartburn is still pretty bad, unfortunately, and I still have that sharp stabby rib pain flare up (only on my right side). I suspect it may be related to the heartburn, or maybe to gas buildup or something, as it’s intermittent and seems to activate/resolve depending on my body position. Emotions: Surprisingly steady this week. I mean, I still cry at the drop of the hat but I don’t think anything particularly ridiculous has set me off in the past 7 days at least? Or maybe it has, but I’ve just become so accustomed to it at this point that I don’t even take notice anymore, hahahaha. Cravings/Aversions: I had the most intense craving for a Costco chicken pot pie yesterday. It did not get resolved because A) the craving came during rush hour and B) even if I had braved traffic (or, rather, convinced Sean to do it for me, hehe), it would have taken like 90 minutes to cook. But I have a feeling I’ll be indulging in said craving today because those pot pies are damn good! Sleep: Terrible. Just, terrible. Changing positions in bed is quite painful if I’ve been laying on my side for a long time, if I try to sleep propped up it kills my tailbone, and regardless of what position I’m finally able to fall asleep in, I wake up every few hours to use the bathroom anyway and have to start all over again. Sleep is no longer my favorite. Purchases: Picked up a bunch of the remaining things on my registry, so Baby Foxlet’s nursery is really almost 100% done! Just waiting on a replacement part for the bookcase I ordered, and then Sean has to mount something on the wall for me and it’ll be complete! Can’t wait to show off the full, finished thing to you guys. Looking forward to… CM Week — our annual work conference at Yelp HQ in San Francisco. 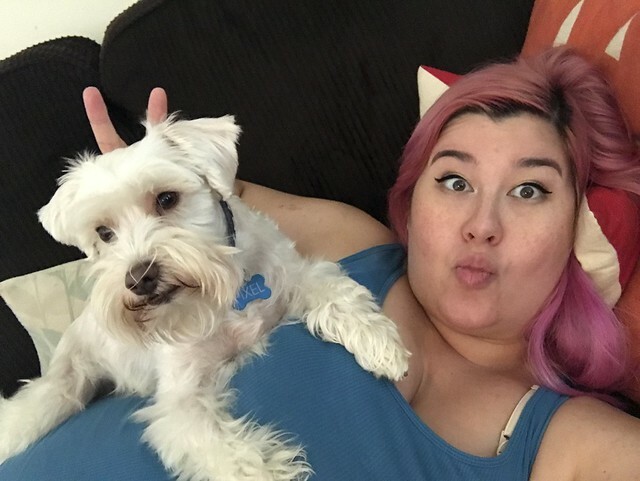 I fly out Sunday, and for now I’m going to be optimistic and hope that the joy of seeing my coworkers and being busy with work stuff will be a nice distraction from all the pregnancy aches and pains. A few of my coworkers are also pregnant right now, so I think it’ll be fun for us to see each other for that reason as well. And at least the weather will probably feel great in the Bay Area! Tends to be MUCH cooler there than it is here at this time of year, hehe. NOT looking forward to… getting on a plane this Sunday. 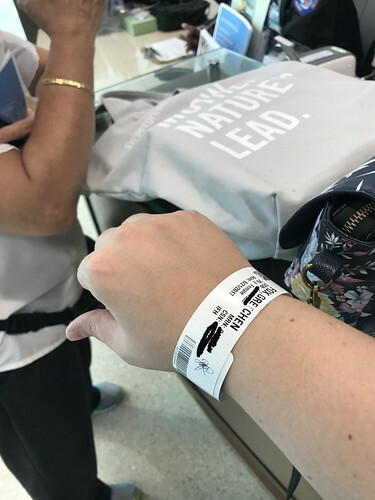 My OB cleared me for travel at my appointment yesterday, assuring me that there are literally no signs or indications at all to think I will go into premature labor or have any reason not to fly. That said, I’m sure I’ll still be very uncomfortable and my feet will probably swell up on the flight. I’m flying Virgin America, so their seats tend to be on the somewhat roomier side, and they have the nice screens that let you order drinks and food and stuff really easily at least. My plan is to wear my compression socks on the plane, drink tons of water, and to waddle walk up and down the full length of the plane at least once an hour. Fingers crossed! So every now and then I do this thing where I post something totally self-serving and entirely un-humble (as if that wasn&apos;t already the entire reason behind me blogging in general), and — spoiler alert — this is gonna be one of those times. This past weekend, I had my maternity photoshoot with Taylor & Ben, and I could not be more thrilled with how the pictures turned out! You guys know that I talk a big game about self-love and body confidence, and honestly it&apos;s been easier than ever to legitimately love my body while it&apos;s been baking this tiny human. 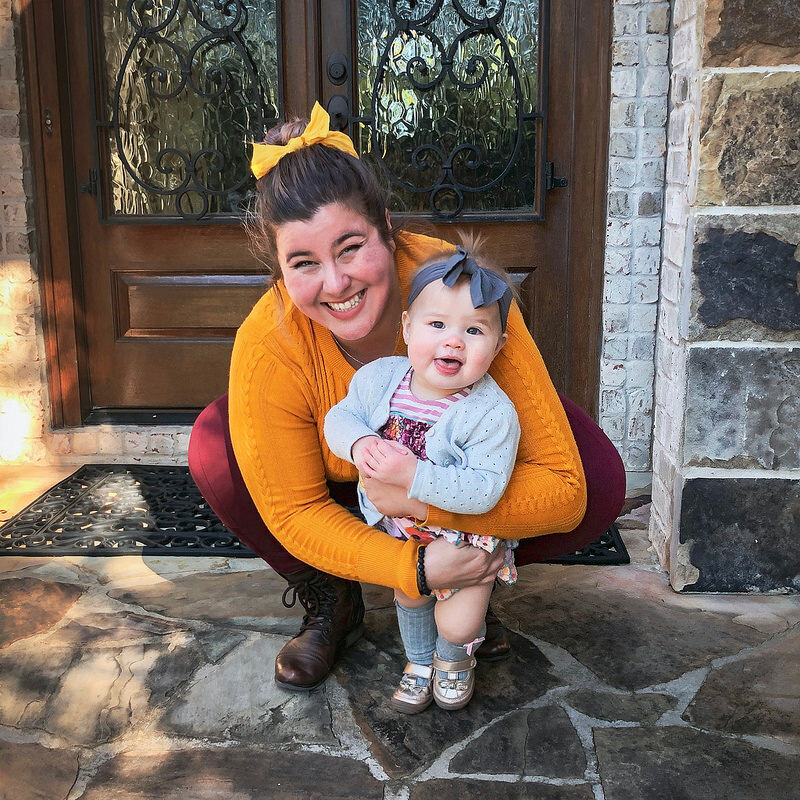 Pregnancy absolutely changes your perception of your body, and while the physical symptoms of this pregnancy haven&apos;t been easy for me, the mental and emotional changes I&apos;ve gone through with regard to my feelings about my body have been very positive. All that being said, I was still a little bit nervous that as a plus size mama-to-be, I wouldn&apos;t be able to achieve the "look" that I was going for with my maternity photos. I didn&apos;t want all this body-positive energy to be suddenly snuffed out by feeling bad about myself in photo-form, after all! Well, turns out neither my weight nor the 100% humidity destroying the hair I had carefully curled at 6 AM that morning could stop this photo magic from happening! I remain eternally grateful to have such talented photographers in the family, not to mention the devoted willingness of a husband who absolutely hates having his picture taken, haha. I&apos;ve got my next OB appointment tomorrow morning, so I&apos;ll be delaying this week&apos;s pregnancy update &apos;til Thursday so I can make a full report. &apos;Til then…!